After the Panic of 1893, the U.S. government repealed the portion of the Sherman Act which called for the Treasury to make large silver purchases and to coin them into silver dollars. 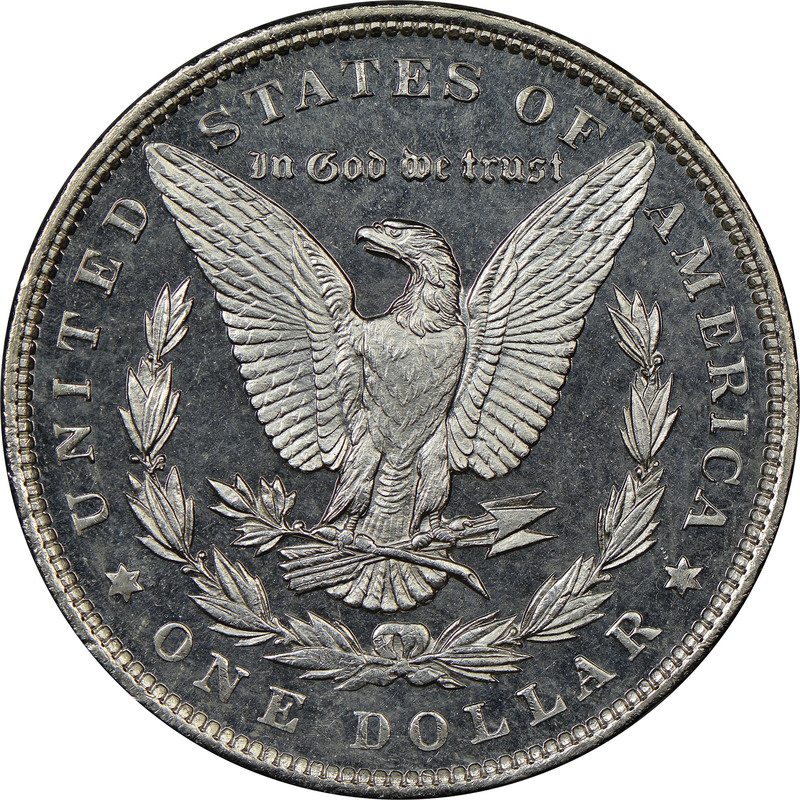 Due to this, the mintage of silver dollars at the Philadelphia Mint plummeted in 1894 to only 110,000 pieces (down from over 1.8 million a year before.) 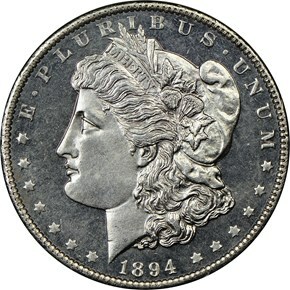 This made the 1894 an instant rarity and a key date today. 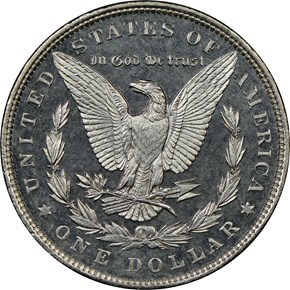 However, it is still generally available in most grades, but it becomes extremely rare in gem. 9/20/2010 — A useful diagnostic on this semi-key date is the ultimate tool of the authenticator.